Is it time to start thinking about the Holidays already? 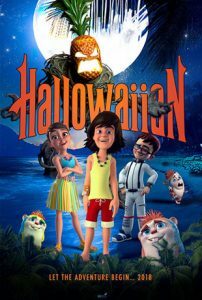 Evidently — Look what showed up in our in-box from Animation World Network: “U.S. distribution rights to Josh Hutcherson’s animated family feature Elliot: The Littlest Reindeer have been acquired by Screen Media, according to a Variety report, with a holiday season release set for November 30… In the film, written and directed by Jennifer Westcott, Blitzen announces his retirement on December 21, which gives Elliot, a miniature horse, only three days to travel to the North Pole, compete for the open spot and fulfill his lifelong dream of pulling Santa’s sleigh. 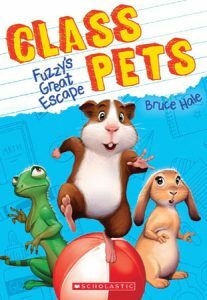 Voice casting includes Hutcherson as Elliot and Samantha Bee as Hazel the goat, as well as John Cleese, Martin Short, Jeff Dunham, and Morena Baccarin.” Not sure if it’s a “release” to theaters or DVD, but we’ll find out! More from Boom! 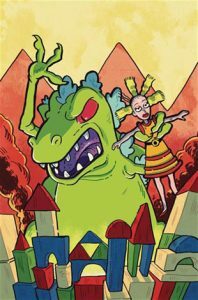 Studios, as the Rugrats’ favorite city-stomping lizard gets his own one-shot starring role in the Rugrats R Is For Reptar 2018 Special. “When the power goes out at the Pickles house, the babies and adults come together to share their own personal favorite Reptar stories. This collection includes short stories by Grandpa Lou, Phil & Lil, Angelica Pickles, Susie Carmichael, and Tommy Pickles as they each tell you their own version of Reptar.” Spoiler Alert! 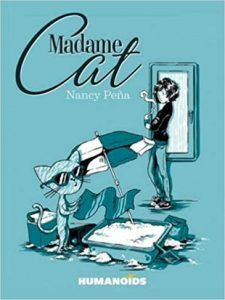 It’s actually written by Nicole Andelfinger and illustrated by Esdras Cristobal — and it’s available now from Boom! 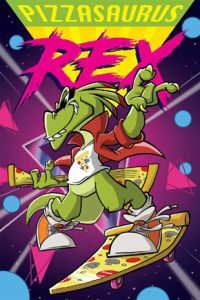 We came across this: Pizzasaurus Rex, a new graphic novel for teens written and illustrated by Justin Wagner (with inks and colors by Warren Wucinich). “Meet Jeremy Duderman, the most extremely awesome scientific mind of his generation. Too bad everyone’s too busy bullying him or just generally disliking him to realize it. But that all ends today. Jeremy has invented the Reality Alternative Dimensionator (R.A.D. for short), a device that allows Rex Raditude, the Pizzasaurus, to enter our dimension. He’s a guitar-shredding, pizza-loving party animal with only one thing on his mind: BEING TOTALLY RAD, DUDE. But is that enough to stop Emperor Buzzkill and his horde of hapless minions who are bent on ending pizza parties, skateboarding, and all things rad? And can poor, pitiful Jeremy Duderman, quite possibly the dorkiest dude in the universe, help Rex in defeating them?” It’s all available now from Oni Press. Keiran Larwood is a kindergarten teacher on the Isle of Wight in the UK. In the free time that leaves him, he’s created a series of fantasy adventure novels for young readers called Larwood. (In the USA — in Europe it’s called The Five Realms.) 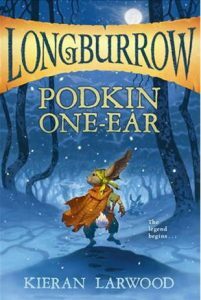 The first book is Podkin One-Ear. 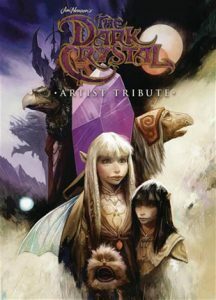 From Amazon: “In a classic fantasy world of anthropomorphic rabbits, three young siblings are on the run from the villainous Gorm tribe who have killed and enslaved their clan. Podkin, once destined to be clan leader, has always been spoiled, but now he must act bravely as he, his older sister, and baby brother flee for their lives. 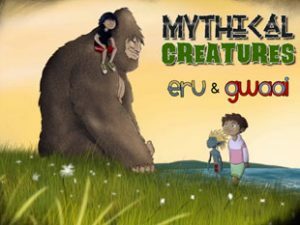 Facing pursuit and treachery, the three collect allies in their search for refuge, until at last they are ready to fight back against the Gorm…” All three books in the series are available in hardcover from Faber & Faber.